If you aren’t happy with the way the pool in your Mooresville, NC backyard looks or functions, it may be a good idea to start the swimming pool remodeling process. Swimming Pool Remodeling in Mooresville – Not only do we design and install great pools at Lake Norman Signature Pools & Patios, but we also remodel them. 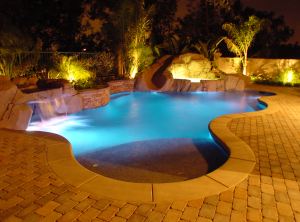 If you want to remodel your pool, but don’t really want to spend your weekends doing the work, we are here to handle the swimming pool remodeling process for you. 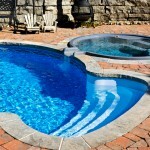 There are many different situations where we might recommend remodeling your pool. Ultimately, we think it’s a good idea to remodel the pool in your Mooresville, North Carolina backyard if you aren’t happy with the way it looks or the way it functions. Lake Norman Signature Pools & Patios can meet all of your pool-building needs. During the swimming pool remodeling process, we will pay attention to your specific requests and answer any questions you might have. Our goal is to ensure that you are confident in our workmanship and capabilities throughout the entire remodeling process. To get the swimming pool remodeling process started, reach out to us at Lake Norman Signature Pools & Patios today. Thanks to our experience and dedication to customer satisfaction, you really can’t go wrong working with us. At Lake Norman Signature Pools & Patios, we proudly offer swimming pool remodeling services in Mooresville, Cornelius, Davidson, Denver, Huntersville, and Lake Norman, North Carolina.